Despite having shot many scenes together in Kasautii Zindagii Kay 2, Parth Samthaan and Hina Khan aka Anurag and Komolika shared an awkward moment at one of the BCL4 matches. With Ekta Kapoor's Box Cricket League 4 (BCL 4) tournament going on at the Film City, Mumbai, inside gossips, PDA, fights and patch-ups among the celebrities are bound to make the news. 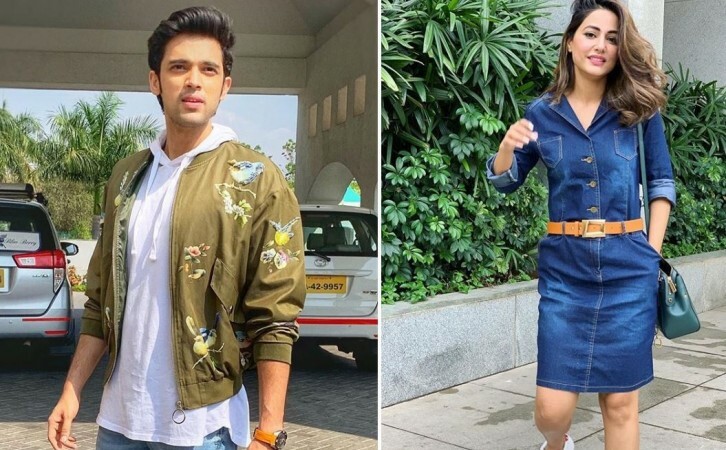 The latest buzz is that Kasautii Zindagii Kay 2 actors Parth Samthaan and Hina Khan, who play the roles of Anurag and Komolika, respectively, shared an awkward customary greeting at one of the matches. Despite the two having shot several scenes together for their show, Parth and Hina apparently didn't even strike a brief chat before crossing each other's path. The witness added, "It is now so evident that Parth and Erica are dating, and in fact, their relationship is growing by the day. Earlier, Parth did not invite Hina to his birthday party. And now, the two couldn't strike a 2-minute conversation. They have had so many scenes together in Kasautii Zindagii Kay 2 that at least there should have been a brief, courteous chat when two colleagues meet outside the office- but nothing of that sort happened." While the reason for their awkward behaviour is unknown, it should be recalled that Parth didn't invite Hina for his birthday, which was otherwise attended by other Kasautii Zindagii Kay 2 cast. Upon being asked the reason for Hina's absence, Parth had then said that he hardly knows her and that they share a very professional relationship. Ironically, Parth's alleged girlfriend and co-star Erica Fernandes aka Prerna do not share a great friendship with Hina as well. Well, one can't help but wonder if Erica is the reason for Parth's strange behaviour towards Hina.